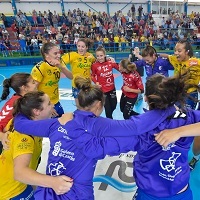 13.05.2018 - FINAL REVIEW: Thanks to a four-goal win in the second leg of the final against Rocasa Gran Canaria, MKS Perla Lublin won the Women’s Challenge Cup for the first time. 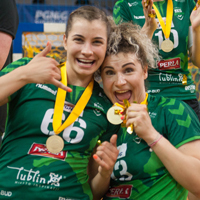 Drabik: "It is my dream to leave Lublin with three trophies"
04.05.2018 - INTERVIEW: After contesting the Women’s EHF FINAL4 four years in a row, Kinga Achruk is aiming for a different trophy with MKS Perla Lublin – the Challenge Cup. 04.05.2018 - FINAL PREVIEW: Having won the Polish championship, MKS Perla Lublin are hoping to also claim the Women’s Challenge Cup title. 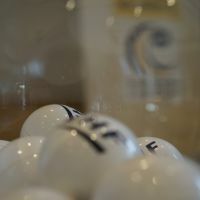 09.03.2018 - ROUND PREVIEW: After Perla Lublin qualified already last weekend, the last three semi-final tickets in the Women's Challenge Cup are up for grabs this weekend. 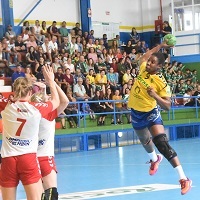 05.03.2018 - ROUND REVIEW: MKS Perla Lublin became the first team to qualify for the semi-finals of the Women's Challenge Cup. 13.02.2018 - DRAW REVIEW: HC Lokomotiva Zagreb will take on the Dutch club in the quarter-finals in their bid to defend the Women's Challenge Cup trophy. 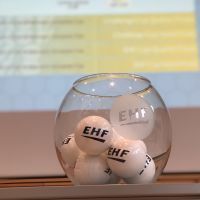 09.02.2018 - ROUND PREVIEW: With three teams already in the quarter-finals, 10 more teams are left to fight for tickets to the last eight of the Women’s Challenge Cup. 04.02.2018 - ROUND REVIEW: After MKS Lublin qualified for the quarter-final of the Women’s Challenge Cup last weekend, two more teams followed the Polish side.